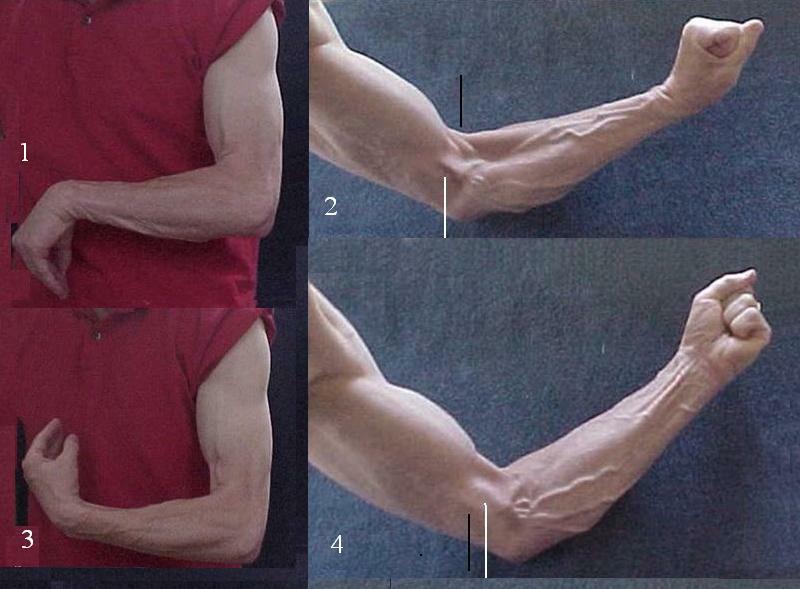 Inward rotation of the radius winds the tendon of the biceps around itself and moves the muscle towards the forearm (figures 1 and 2), outward rotation unwinds the tendon and shifts the muscle back (figures 3 and 4). !!! The black lines point to veins, the white ones to underlying connective tissu - the septum inter-musculare, separating the muscles of the anterior side of the arm from those of the posterior side - mimicking a vein.